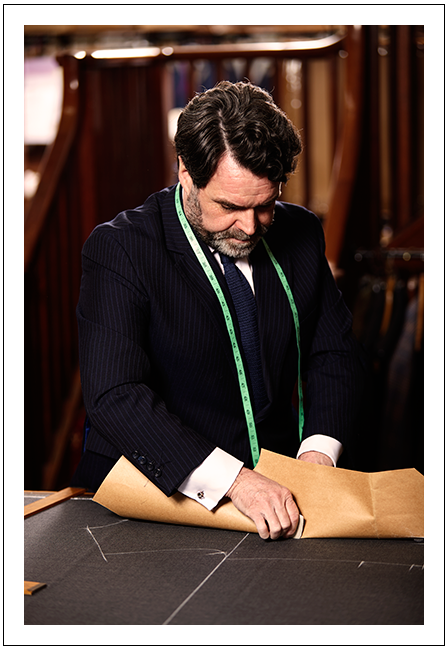 Paul Munday has almost 20 years’ experience of Savile Row bespoke tailoring. He has been a partner and director in Meyer & Mortimer since 1994. Along with running Meyer & Mortimer, Paul is responsible for organising and coordinating the overseas trip schedule. Paul can be away up to 20 times a year visiting customers in North America, Europe and Asia. Find out how Paul got into bespoke tailoring and what his favourite film is here in his Q&A.